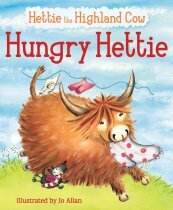 Hettie the Highland cow is always hungry. She eats grass, thistles, hedges and even Granny Macleod's washing! When Callum and Kirsty visit her, they give her treats to eat -- porridge, sandwiches, shortbread, fish suppers and ice cream ! When the children arrive with a huge cake, Hettie starts to look worried. 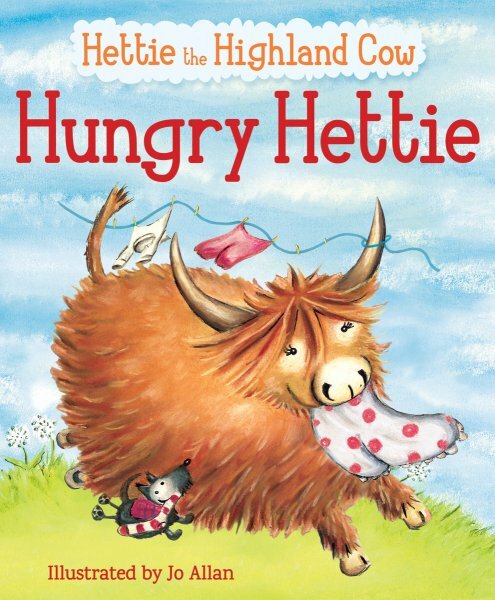 She's not feeling so hungry any more... Watch Hettie grow as she eats her way through many Scottish favourites, until she and the children finally learn their lesson. This sweet, funny story is brought to life by Jo Allan's vivacious illustrations.